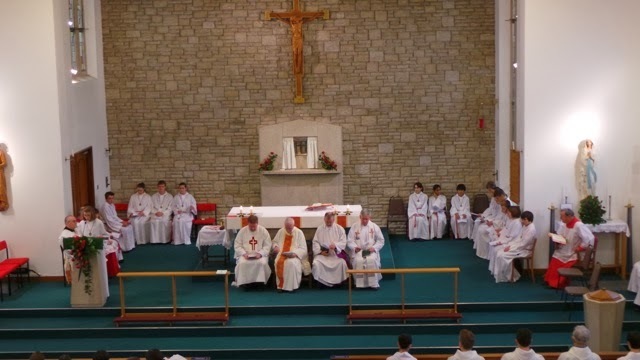 On Sunday 24th November there was a wonderful thanksgiving Mass to celebrate the 25 years of St Augustine's enrolment into the Guild of St Stephen. Our Altar Servers, past and present, gathered to serve at the Mass which Mgr Bernard spoke beautifully about the role of the Altar Server and how it links to the Feast day of Christ the King who was our servant. a Papal Blessing was presented to Peter Iles and all Altar Servers and Barrie Teucher, one of our 1st Altar Servers and organist for the past 40 years received a Papal Blessing as a thank you from the Parish. There was also a special thank you gift given to Petra Jordan who been Server Sacristan, responsible for the maintenance of the Albs for many, many years! Afterwards, everyone gathered for refreshments in the Parish Hall.